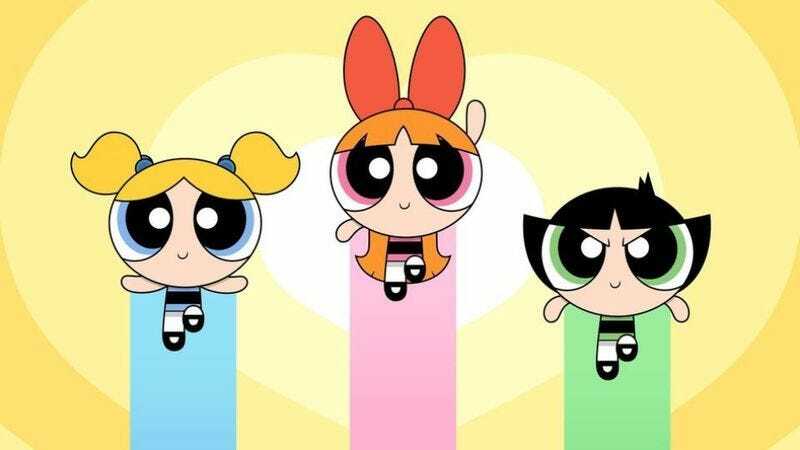 Despite receiving only a single Emmy nomination for Outstanding Short Form Animated Program and garnering a paltry 81 million views for its series premiere back in April, Cartoon Network executives have magnanimously decided to give Nick Jennings and Bob Boyle’s reboot of The Powerpuff Girls another shot at success. The animated action-comedy series, which is currently halfway through its initial run of 40 planned episodes, will be returning for a second season, Deadline reports. The original series—developed by animator Craig McCracken (Dexter’s Laboratory) while he was attending California Institute Of The Arts (probably Room A113) back in 1992—ran on Cartoon Network for six seasons, from 1998 to 2005, and took home two Primetime Emmys.